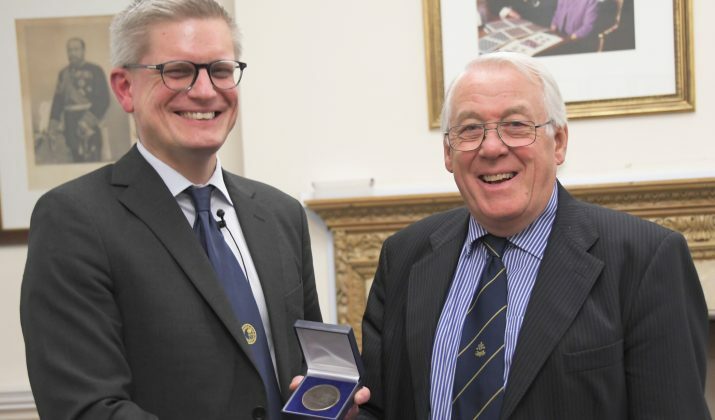 ‘A sophisticated and cleverly put together exhibit of the finest material’ was how Alan Huggins RDP Hon FRPSL described the display of ‘Classic Finland 1845-1859: The hand-printed oval design’ by Gustaf Douglas RDP FRPSL given to The Royal Philatelic Society London on 26 February. Giving the Vote of Thanks, Alan added that the members had enjoyed a ‘remarkable display of an iconic collecting country’. It covered the first issues of Finland, those of 1845, 1850 and 1856, in use until 1859, introducing uniform domestic postal rates. The design features the Arms of Finland set within an oval frame. Somewhat unusually the initial releases, from 1845 to 1856, took the form of stamped postal stationery envelopes, with adhesive postage stamps being tested experimentally from 1 March 1856 to 31 December 1859. Among the outstanding items shown was a cover sent from Helsingfors to Lübeck in Germany on 17 July 1858 bearing four pairs of the 5 Kopek in blue. Sadly, Gustaf Douglas could not give his presentation personally: it was instead presented by Jonas Hällström RDP FRPSL. 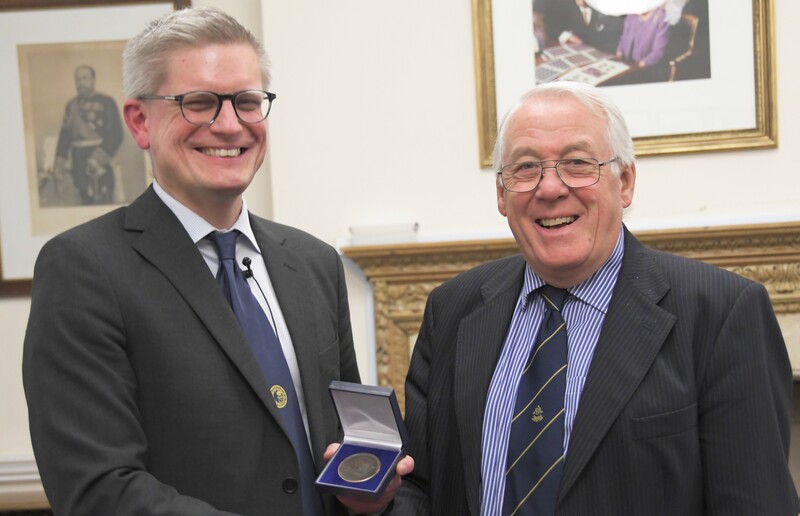 Those wishing to visit The Royal Philatelic Society London at 41 Devonshire Place, London W1G 6JY, or be a guest at one of its meetings, are asked to contact the Administrative Office (020 7486 1044). Bryan Kearsley’s presentation about seahorses is a must-see ! STOCKHOLMIA 2019-Two catalogues to fall in love with! Do you really know everything about Game of Thrones? Notre-Dame de Paris, collectors help rebuild!